Oliju Vortex SF 80.220, 80mm Soilds handling The vortex impeller creates a vortex that leads to most solids without contact with the turbine and the fibrous materials are repelled and can not hold on to the turbine. Designed to handle raw waste water containing long fibrous material, these macerator (chopper) pumps are used mainly in the sewage, agricultural, textile and construction industries. 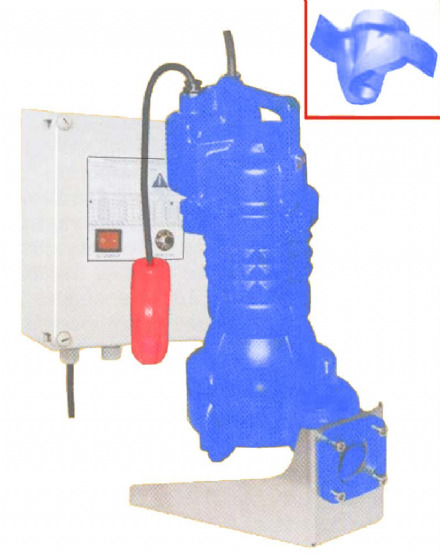 Drainage pumps designed for handling waste water contaminated with mud, sand, chips, clay and other abrasive materials up to a maximum 15% by volume (in suspension). If you are looking for a commercial water pump or water booster set, look no further than JT Pumps. 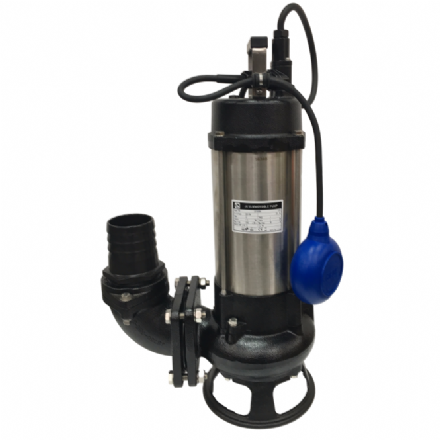 Our range of submersible pumps can operate even when completely submerged, and a water booster set from our range is able to increase the pressure in an existing system or provide water pressure to a new installation. The commercial pumps available at JT Pumps have the powerful reliability, pumping capacity and efficiency to work on a commercial scale, and can provide the edge your business needs in staying dry. Our water booster sets can help to compensate for planned reductions in mains water pressure across the UK, protecting high rise buildings and rural areas from the effects of low water pressure, while our submersible pumps and commercial water pumps provide the high-capacity pumping ability you may need for your home or business. Whether you need to get a water booster set into action to boost your plumbing or drainage, or you need the ability to rapidly drain large volumes of water in an emergency or a routine clearance, then JT Pumps can help you – call us any time on 0844 414 5800 or send us a message via our site. One of our expert pump engineers will be happy to advise you, and help you find a pumping solution that will suit your needs, whatever they may be.